Here, in South Africa, it is not uncommon to hear of people who have been diagnosed with melanoma skin cancer. The same would apply in sunny places like Hawaii and California. In the 50's and 60's, people were not aware of the dangers of the sun, and anything you put on your body before heading out onto the beach was simply to help you get that nice golden tan. Unfortunately, a lot of people are now paying the price for spending hours on end under those harsh rays without any form of protection. This is the most dangerous type of skin cancer you will come across, generally caused by the sun. This is where malignant tumors form in the epidermis. More than 8,000 people die on a yearly basis in America from this condition. It is not the most common of cancers, but it can be deadly if it is not caught early enough. The amount of people who survive this type of cancer depends on when they are diagnosed. If it is picked up early enough, in stage one, then there is a 95% chance of survival, but if this is neglected and only picked up in the fifth stage, there is a 10% chance of survival. Often a cancerous mole is so difficult to see, that you will miss it, and this is why it is best to have a regular check up. Find yourself a good dermatologist to go there once a year, and she will be able to give you a thorough checkup. However, it is a good idea to check yourself for any type of moles at random throughout the year. Most of the time, you will find that a mole is black, but they can also be the color of your skin. They can even be pink or purple. Getting to know your body is always a good idea, because you will be able to find something new. Some of these lesions can bleed or itch. This should be a warning sign. A - It is asymmetrical - it does not match if you draw a line down the middle. B - It has an uneven boarder. C - There may be a couple of differnt colors within the mole, such as red and purple. D - They are usually larger in diammeter. E - Watch out for change - Evolving - this could be a change of color or activity or size. Anything different about it is something to watch out for. This is for when you are scanning over your body, and you come across a mole that is somewhat different to the rest. The mole may also feel different. Take the properies above and analyze it if you find something that is out of the ordinary. What are the Stages of Melanoma Skin Cancer? There are various scales that doctors use to discuss the stages, but they usually use the number scale when dealing with patients and treatment options because this is easiest to understand. Stage 0 - the cells are on the epidermis and haven't spread deeper than that. Stage 1A - the melanoma has not yet broken into the lymph nodes. It is less than 1mm thick. Stage 1B - it is still less than 1mm in thickness, but the skin is broken. Stage 2A - The melanoma is under 2mm in thickness and the skin is broken. It can also be up to 4mm thick without the skin being broken. Stage 2B - Here it has either grown up to 4mm, or it is thicker than that, and has also ulcerated. Stage 2C - It has now grown over 4mm thick and has also ulcerated. However, it has not yet spread. Stage 3A - Now the melanoma has spread up to 3 of the lymph nodes. Stage 3B - The stage develops further and the nodes now becomes enlarged. Stage 3C - It has now spread to more of the lymph nodes and the skin. Stage 4 - The melanomas have spread to other parts of the body. This is where it becomes dangerous because it can spread to the lungs and the brain as well as the liver. What is the Treatment for Melanoma Skin Cancer? Again, this comes down to the stage of the skin cancer. One can use chemotherapy, radiation or surgery in the later stages. If it has not spread to the rest of the body then a surgical oncologist will proceed with an operation. A dermatologist can also do this in the early stages because it is a very simple procedure. 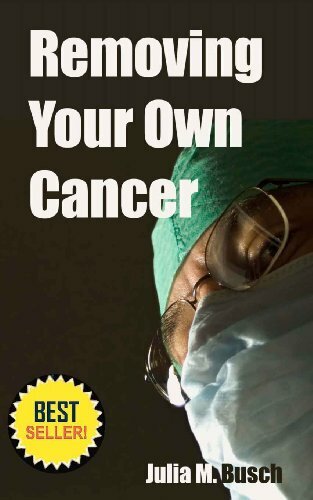 A medical oncologist will deal with the chemotherapy options, but at the end of the day, the choice will be up to the patient. Colon Cancer Warning Signs, Causes and Survival Rate - one of the most fatal cancers to watch out for. What are the Best Cancer Fighting Foods? - Without doubt, diet is something that comes first and foremost. This is a great source of iron, vitamin E and omega 3. You can add this to your cooking, and it will make a big difference in your diet.